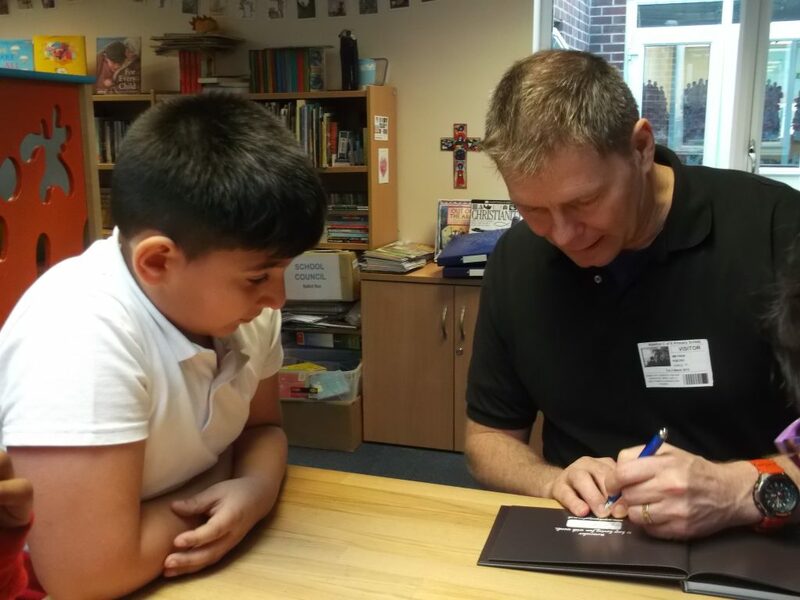 Today, Tony Peek visited school again. 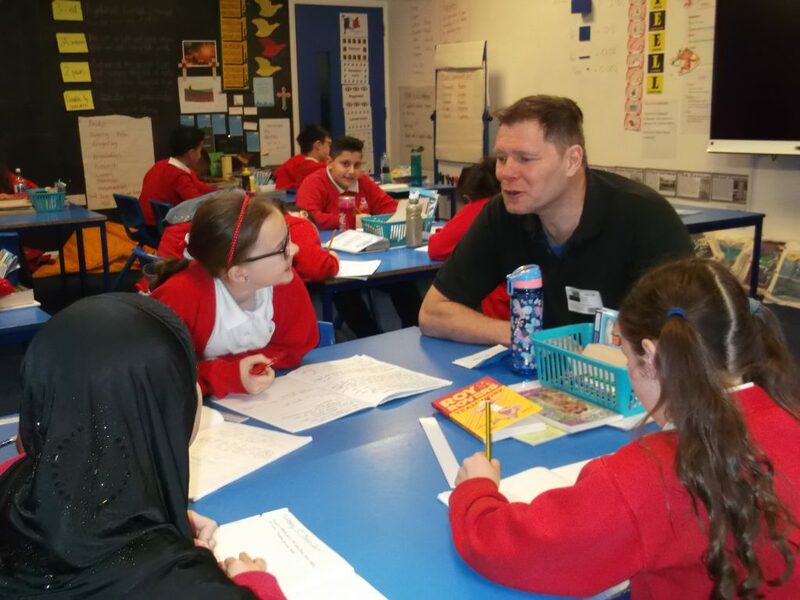 Back in September Tony spent the day working with Year 2 and this time it was Year 5. 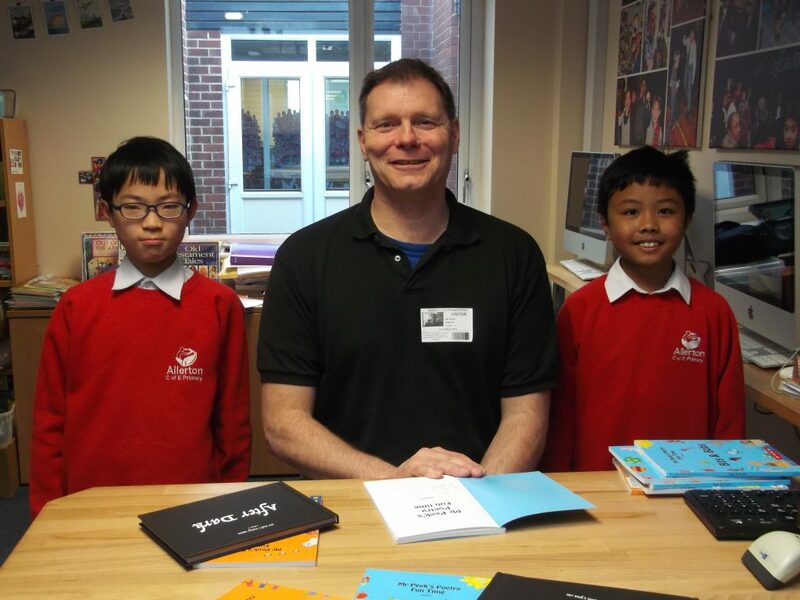 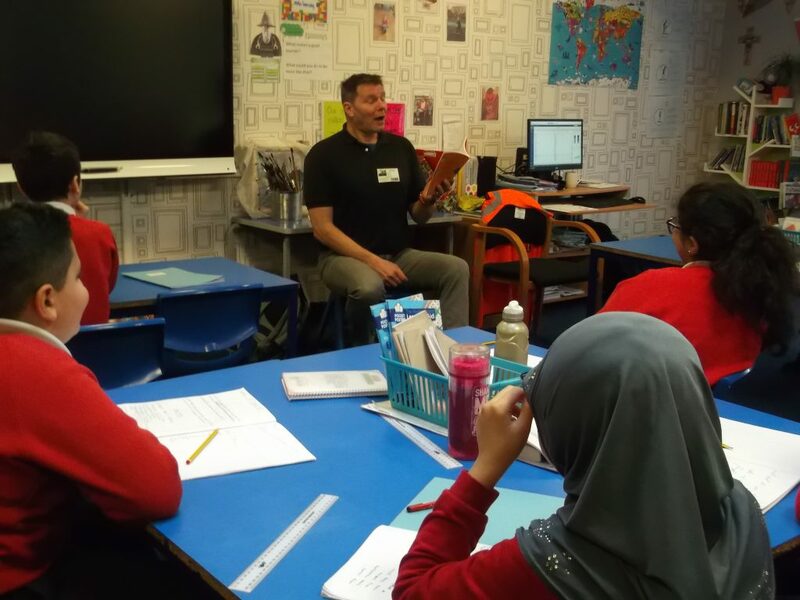 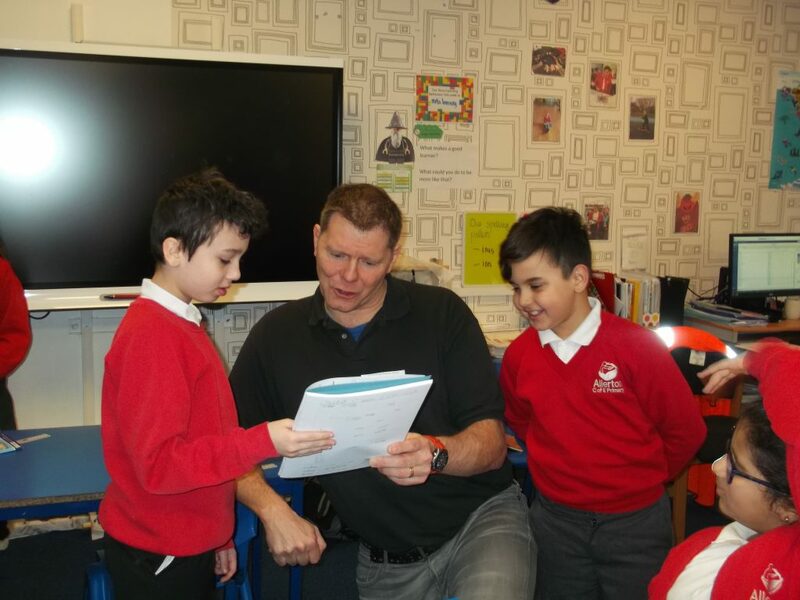 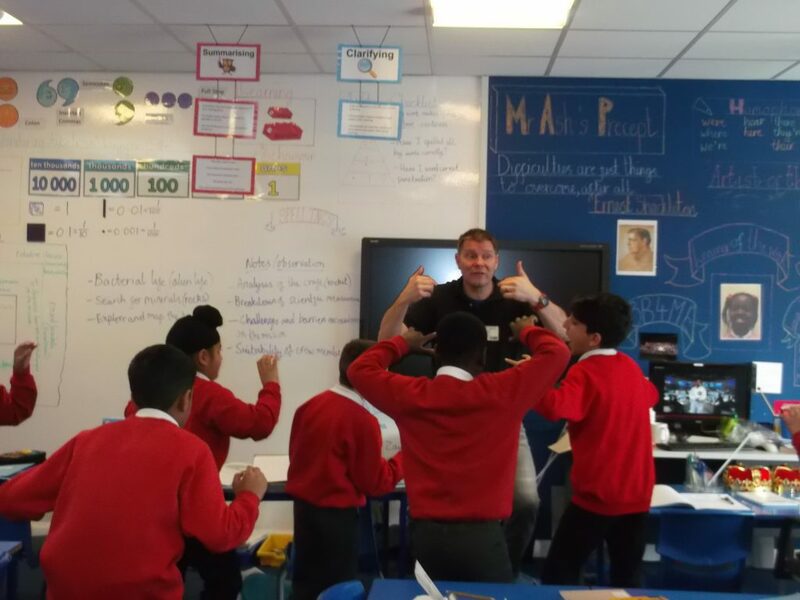 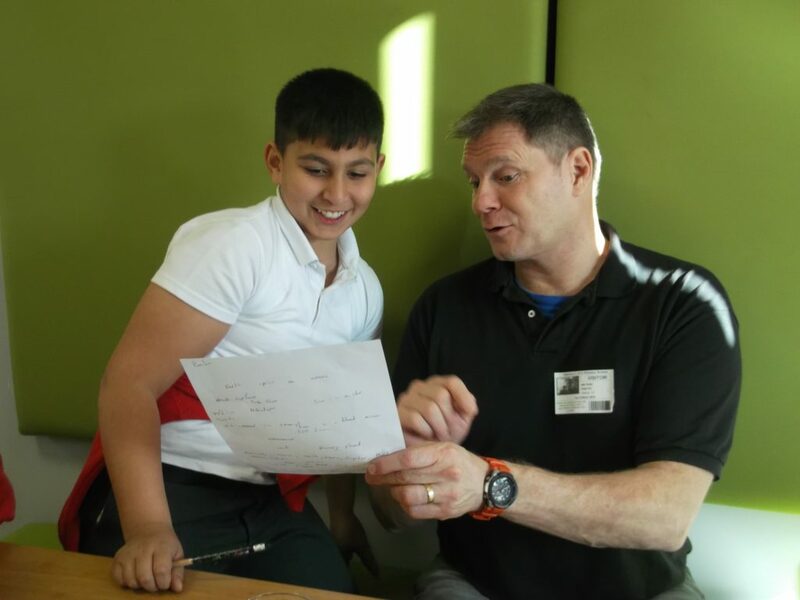 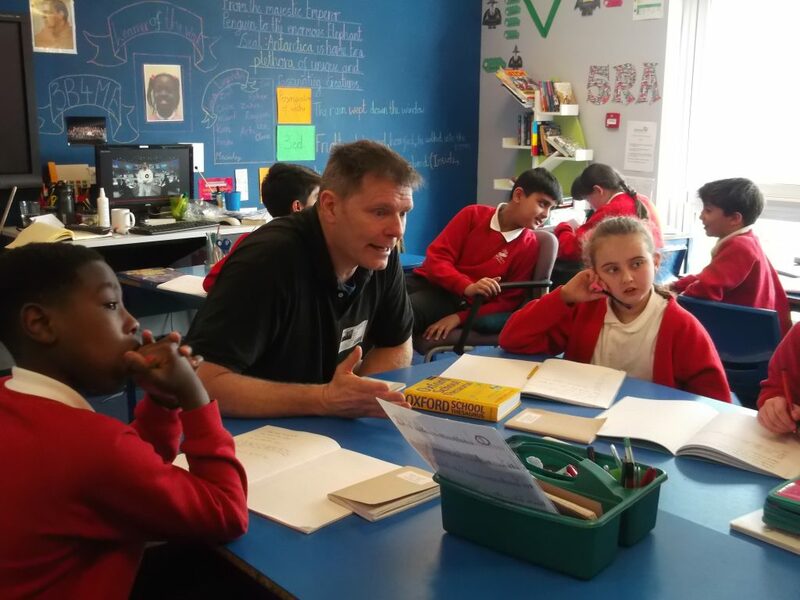 Tony told tales, performed some of his poems and the children had the opportunity to ‘play’ with words and to create their own Haiku poems. 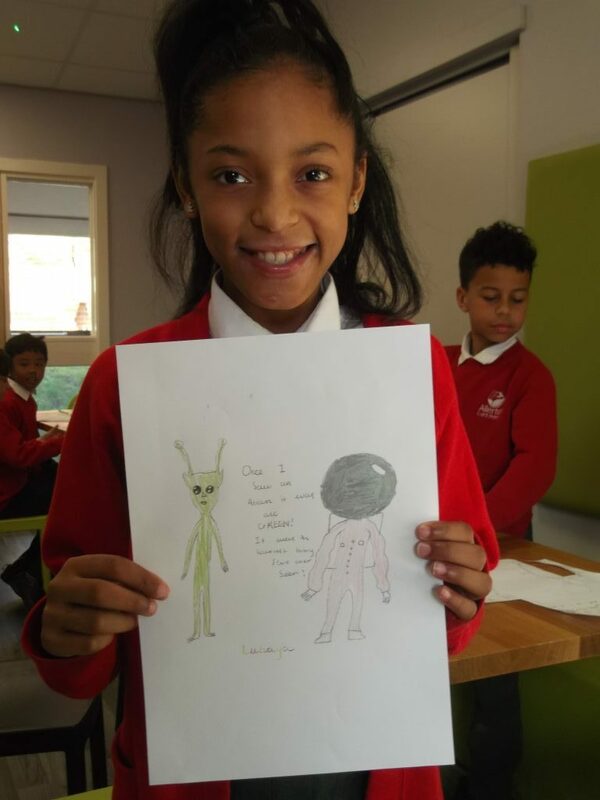 In the afternoon a small group of children continued their creativity focusing on the theme of space and wrote some wonderful poems. 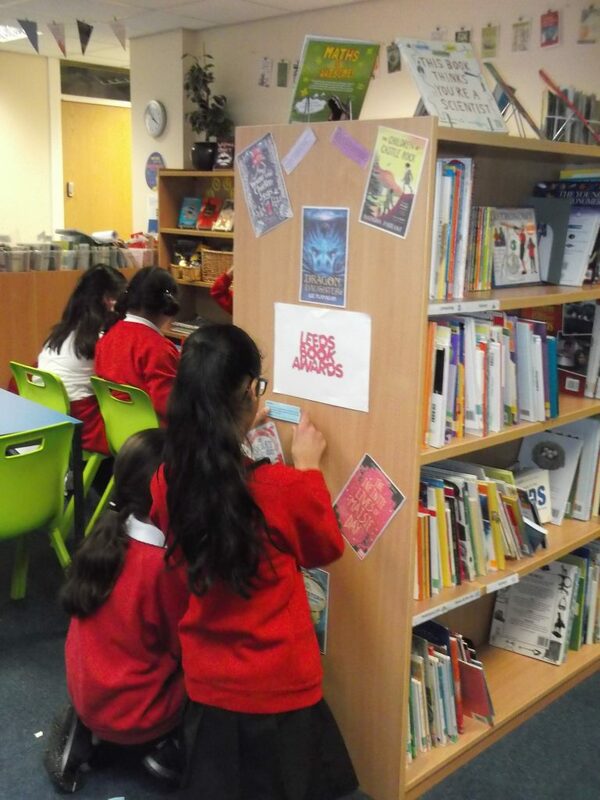 This year our theme is Share a Story. 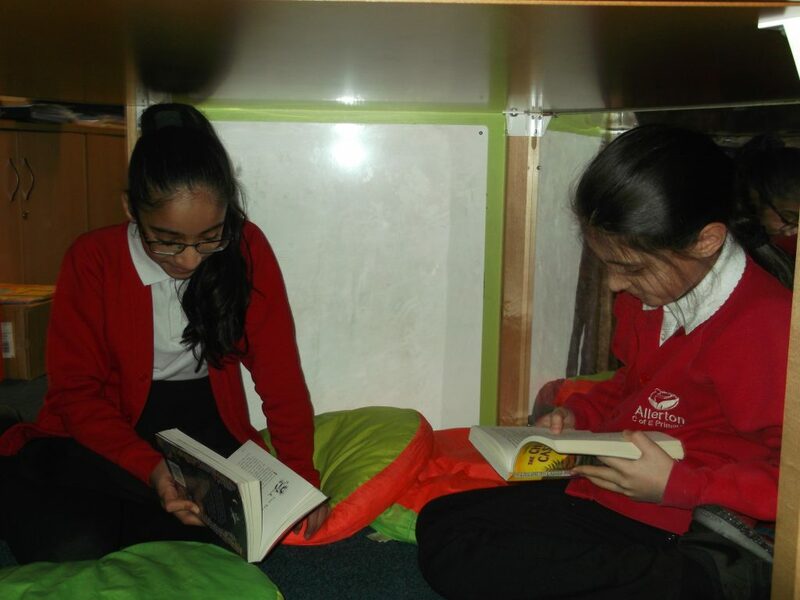 Children are invited to bring in a book from home that they would like to share with a friend, a classmate, their teacher or perhaps even someone from another class or year. 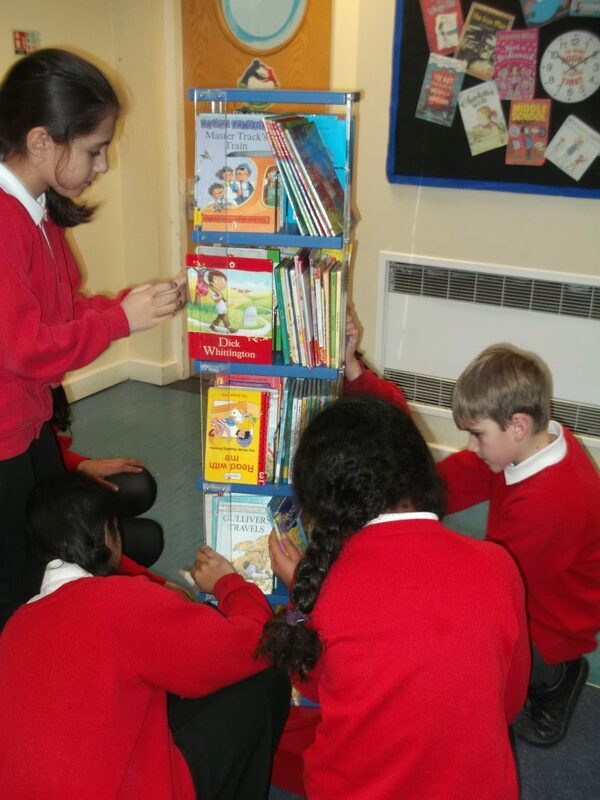 Amongest other celebrations in the classroom, there will be separate WBD quizzes for KS1 and KS2 children where children will be playing in teams, Miss Whiteley will be sharing lots of stories during library sessions and every child will be given a World Book Day voucher which can be swapped for a World Book Day Book*. 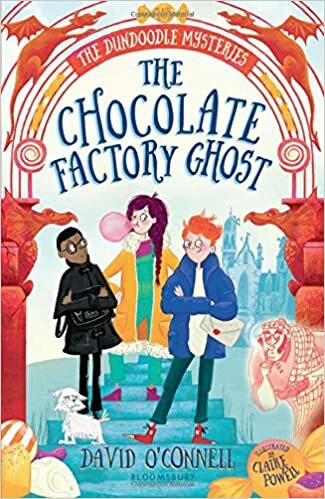 *Books are available in Sainsbury (Moor Allerton), The Little Bookshop (Chapel Allerton) and branches of Waterstones and other participating retailers. 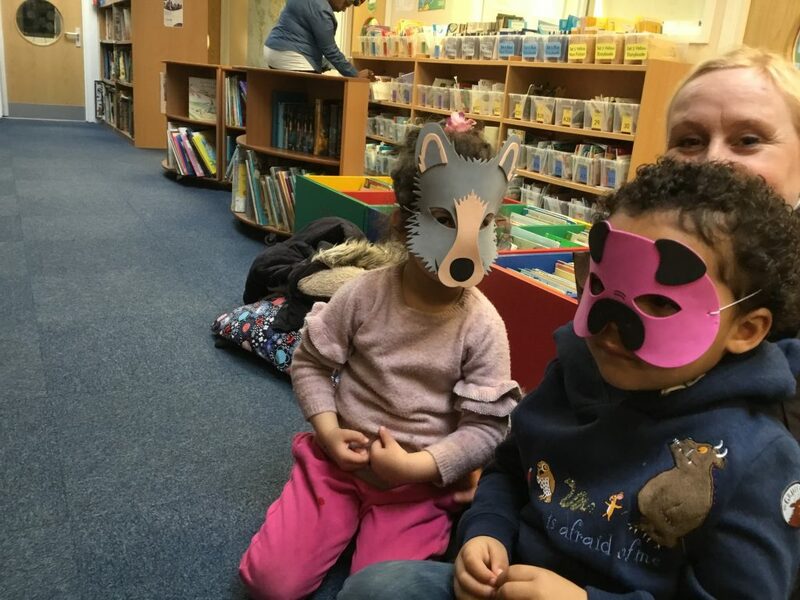 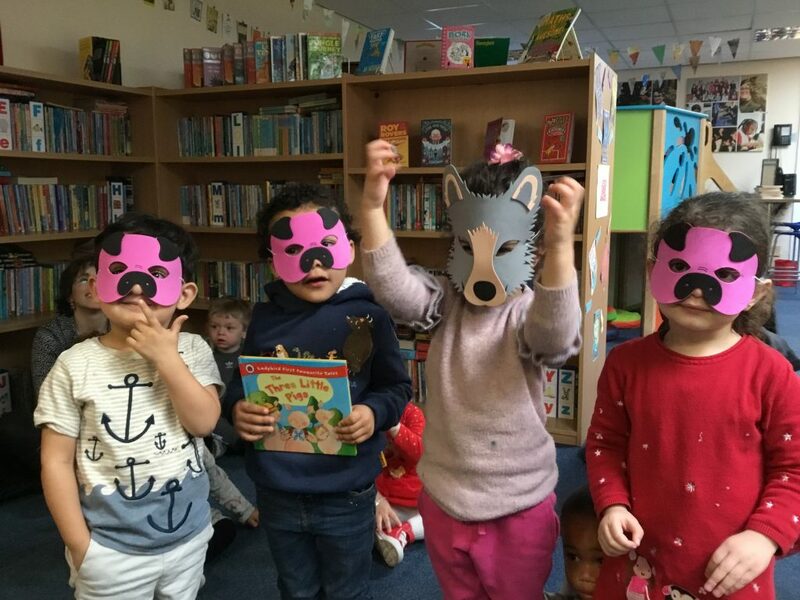 The 2 Year Old Nursery visited the library this morning to listen to the story of The Three Little Pigs. 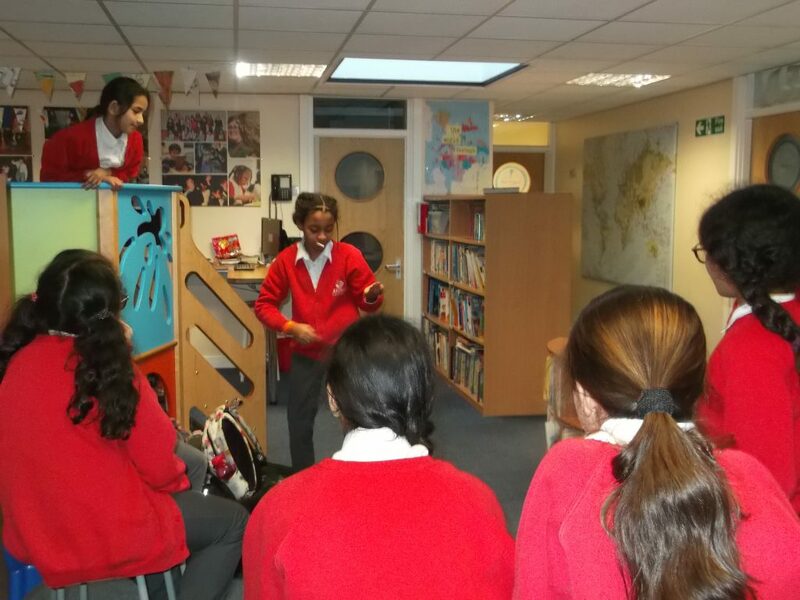 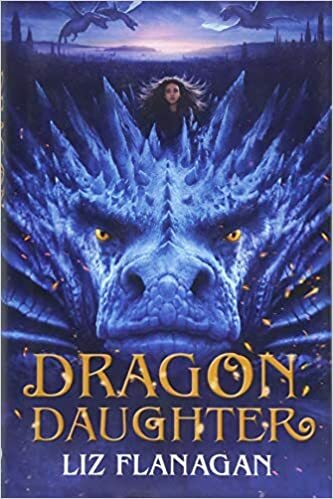 This week the club members continued with their graphic novel, wrote book reviews, started a Leeds Book Awards Display and held a heated discussion about one of the shortlisted books; Dragon Daughter which ended in a drama duel! 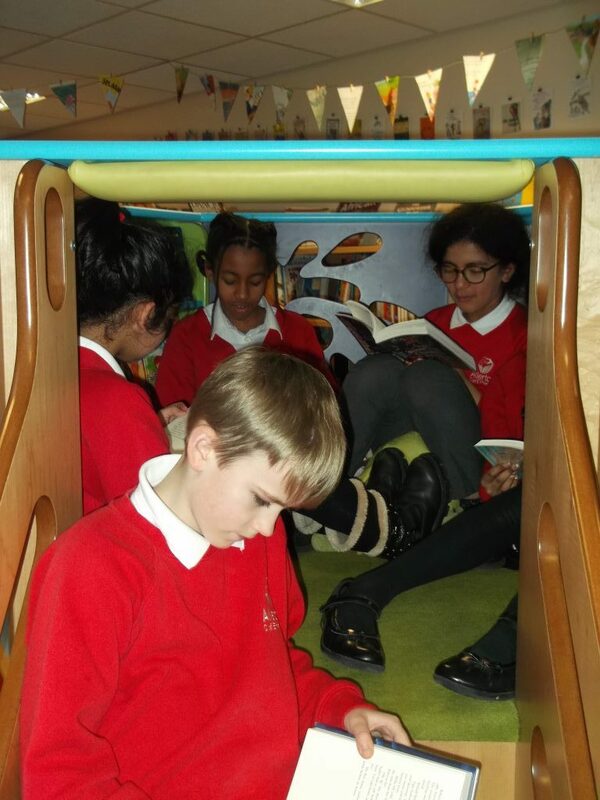 We will be celebrating all things bookish on Thursday 7th March. 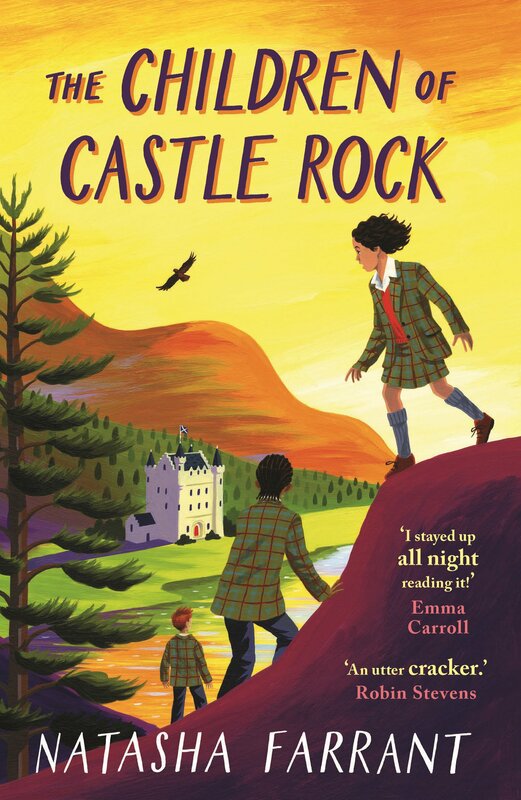 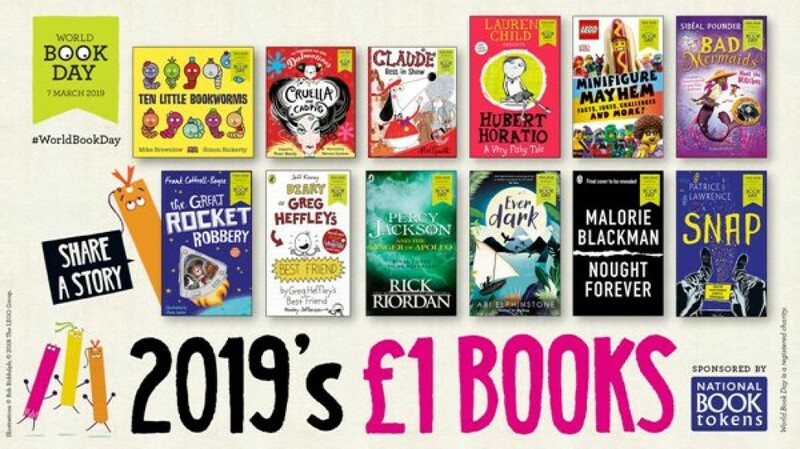 As part of the celebrations everyone will receive a World Book Day voucher which you can use to claim your special World Book Day Book from participating bookshops and supermarkets. 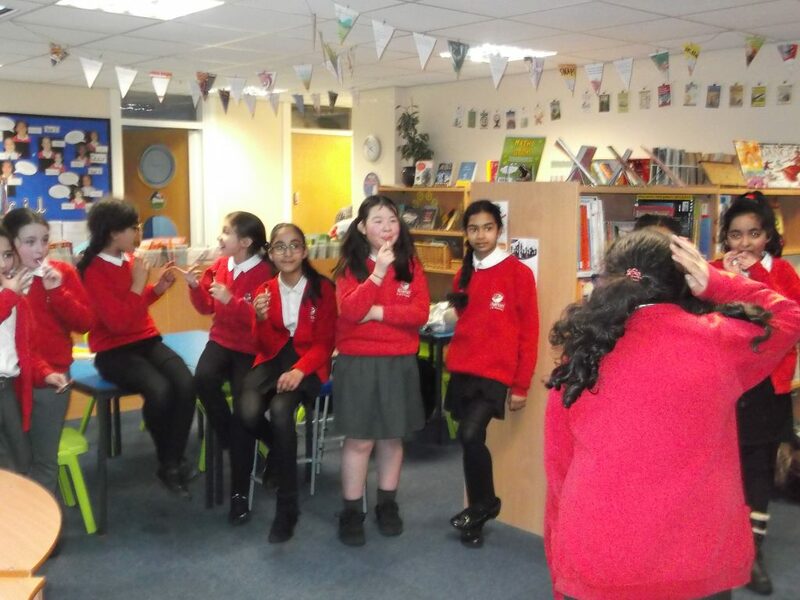 More information about the other celebrations will follow soon. 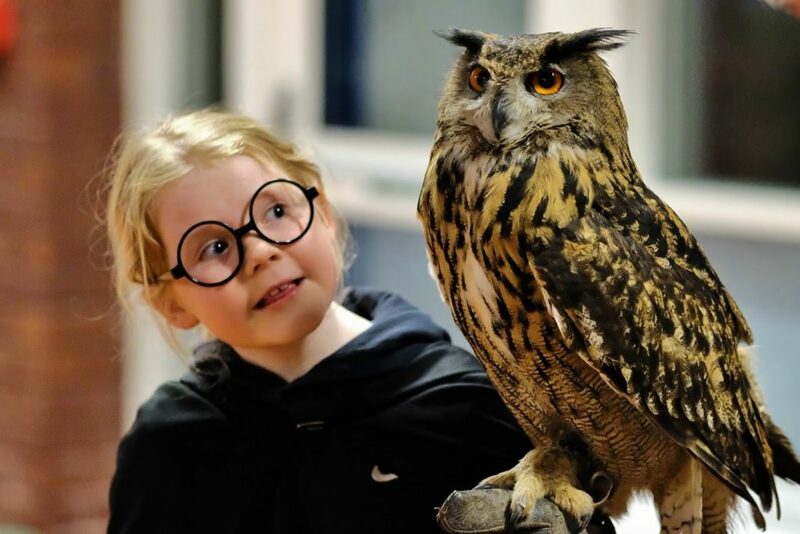 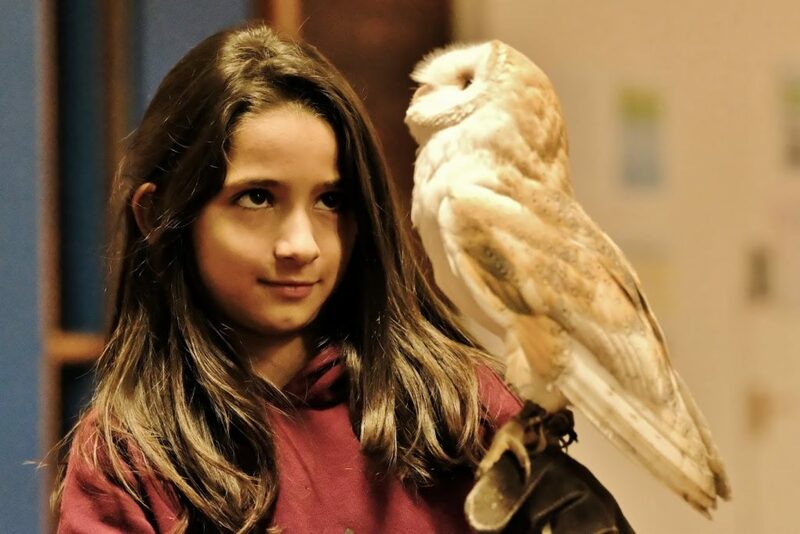 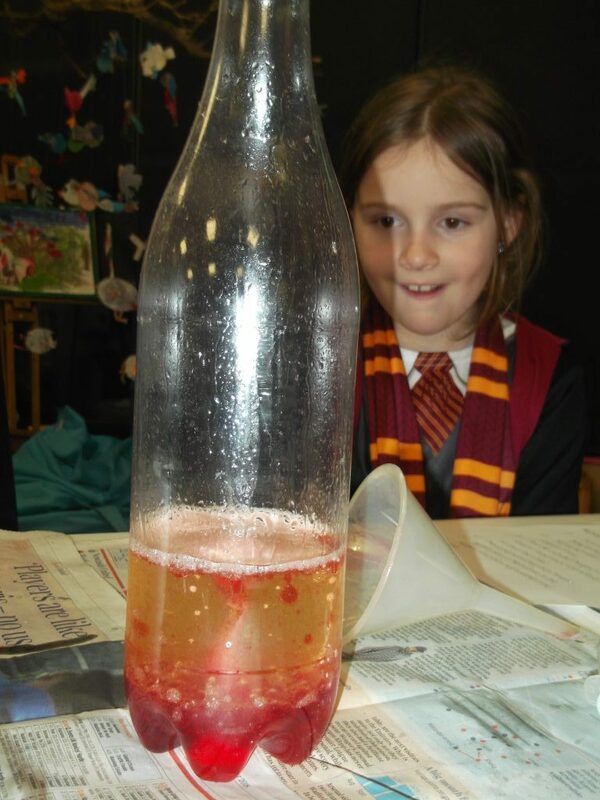 On Wednesday 54 children from Years 5 and 6 spent the evening at ‘Hogwarts’. 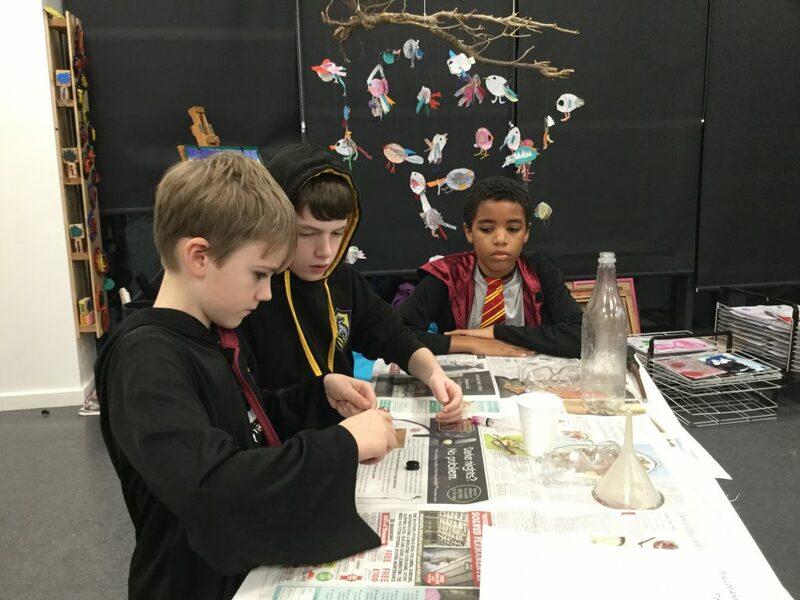 Upon arrival the sorting hat decided which house they would each be in. 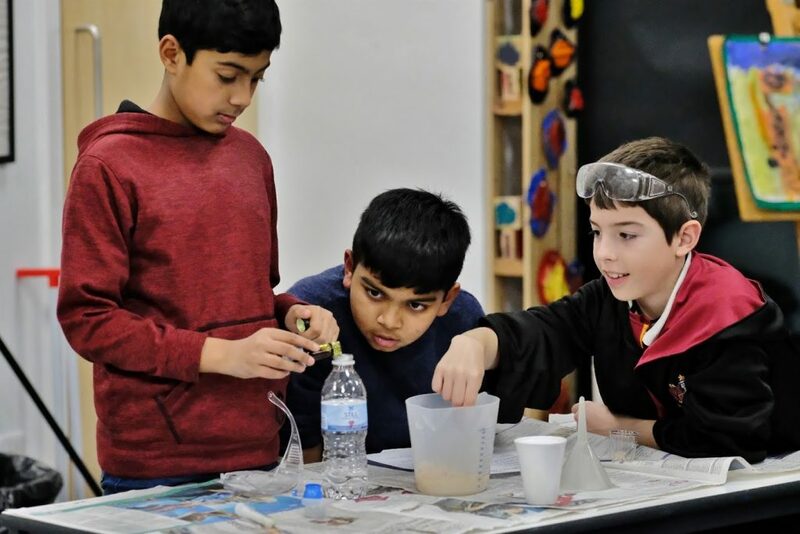 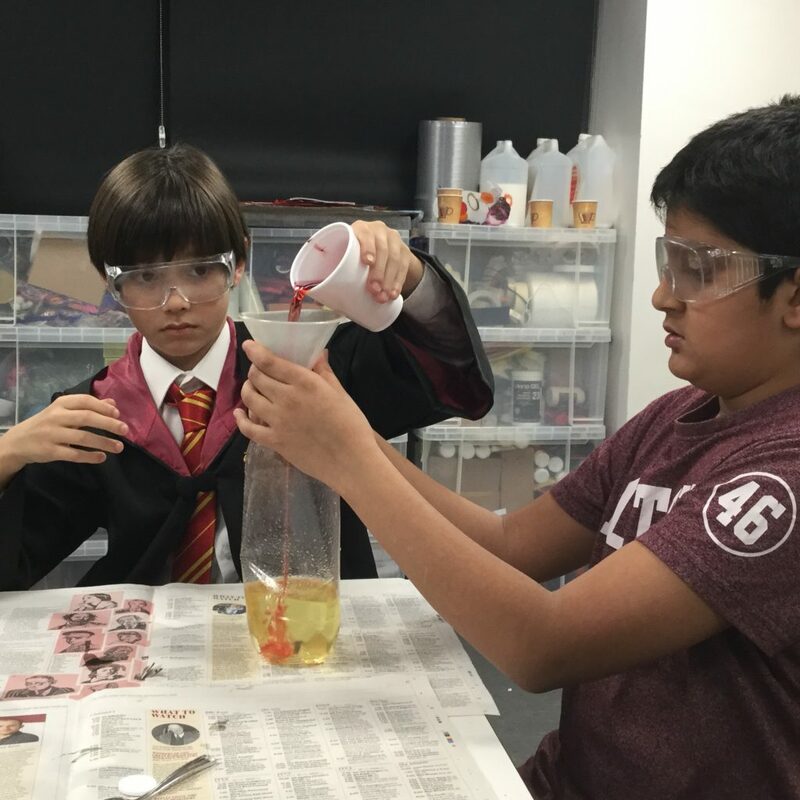 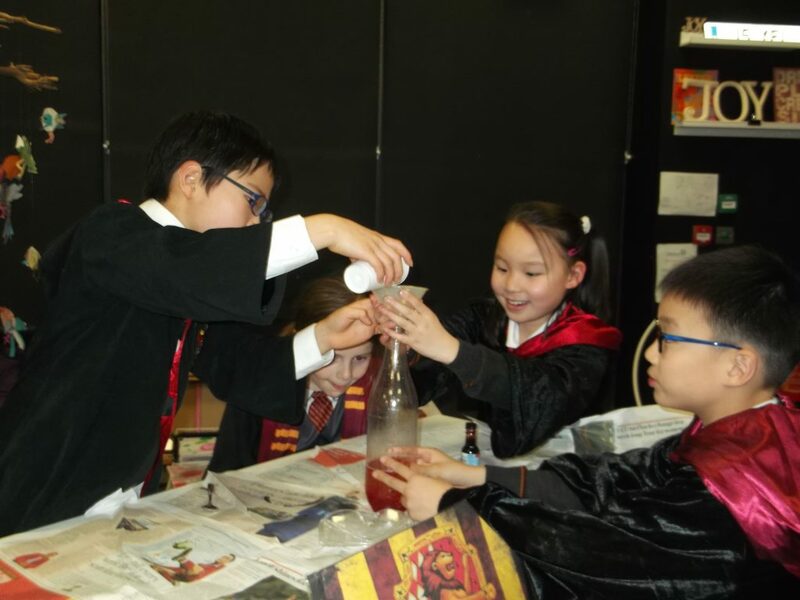 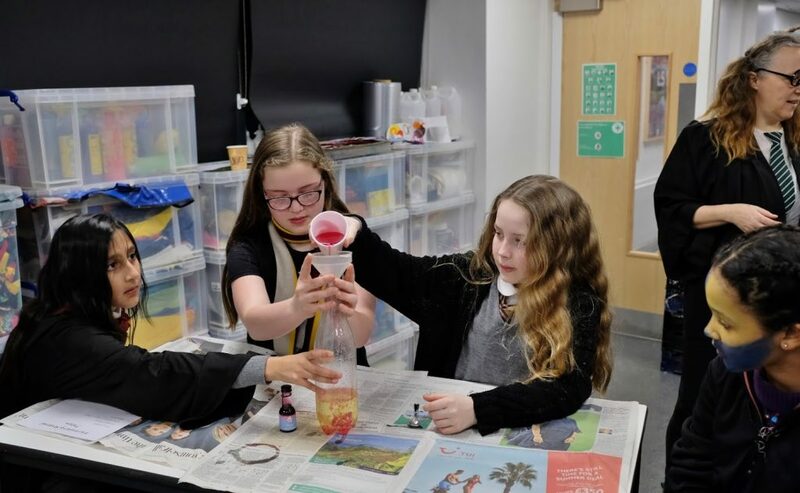 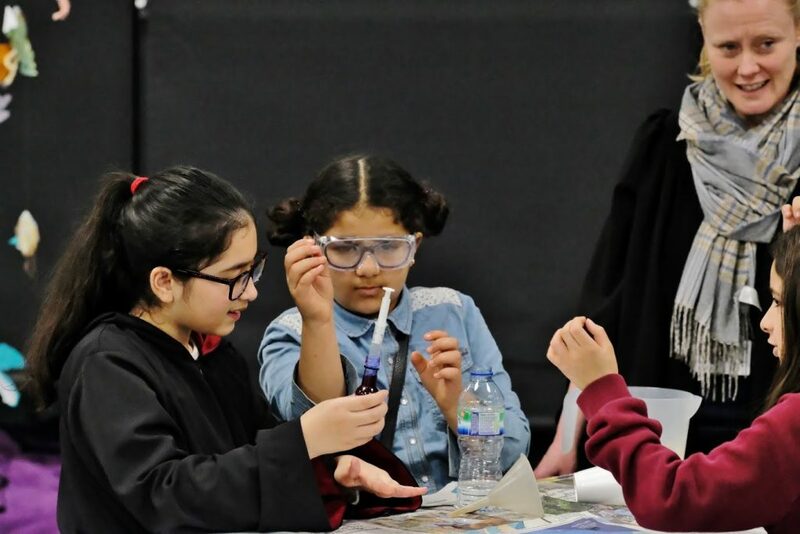 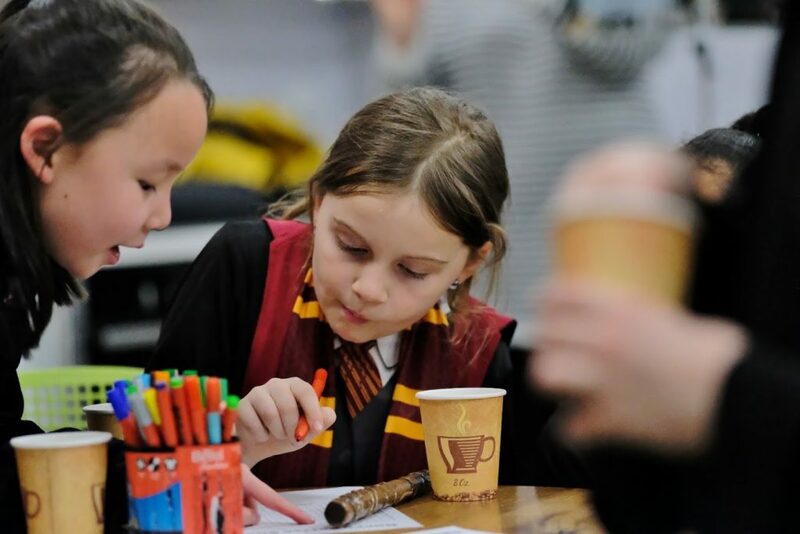 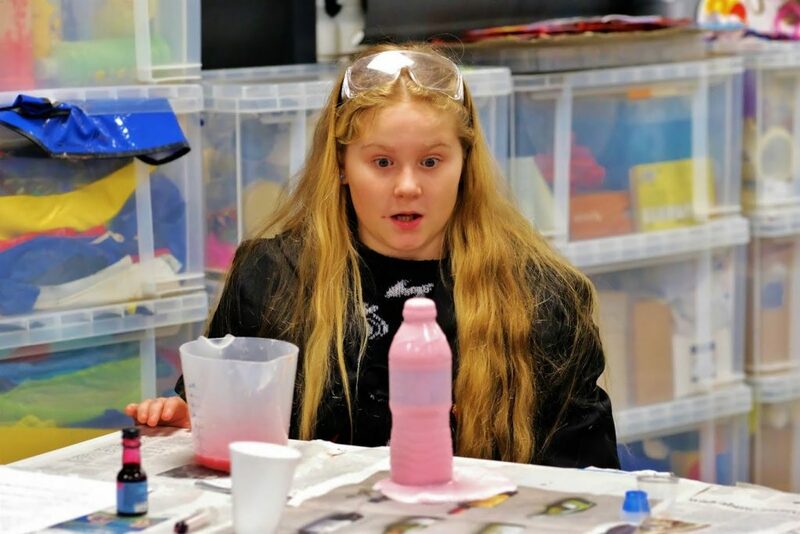 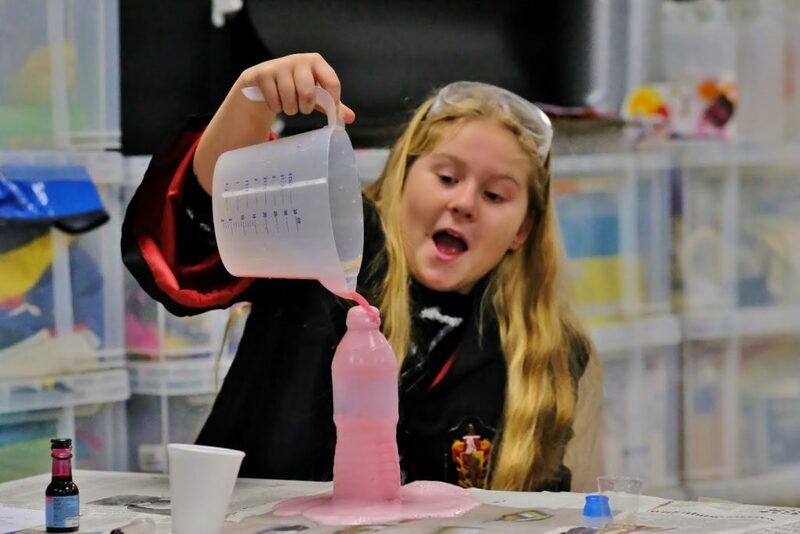 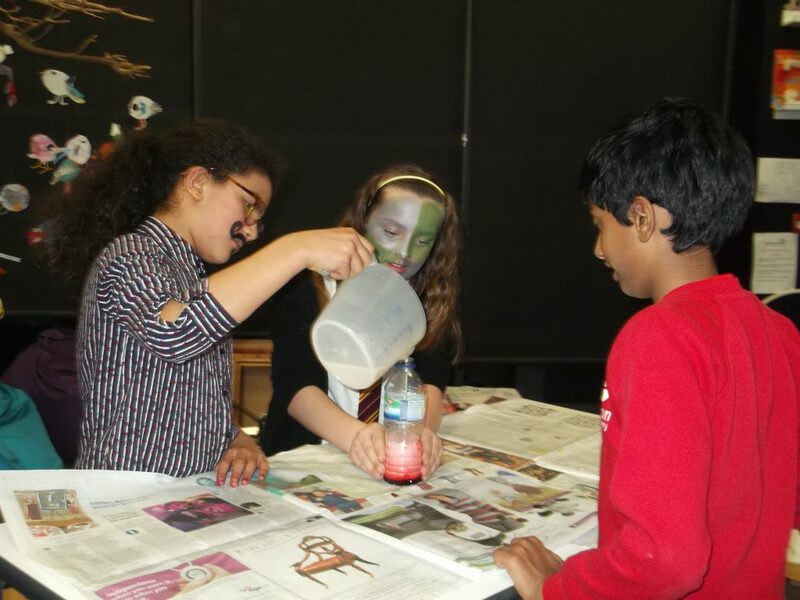 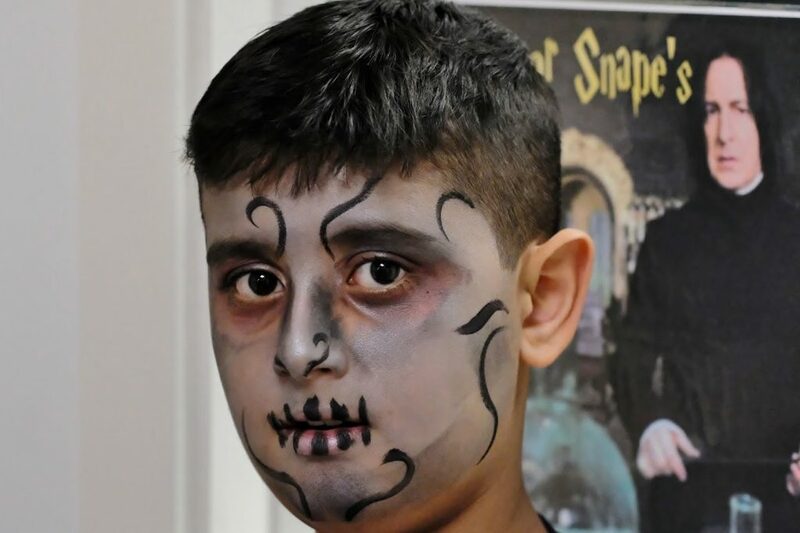 Then each house led by a Professor visited a carousel of activities; they held owls, read extracts from Harry Potter books, searched for clues to complete the Maraurder’s Map Scavenger Hunt, visited Honeydukes, had their faces painted and even created potions! 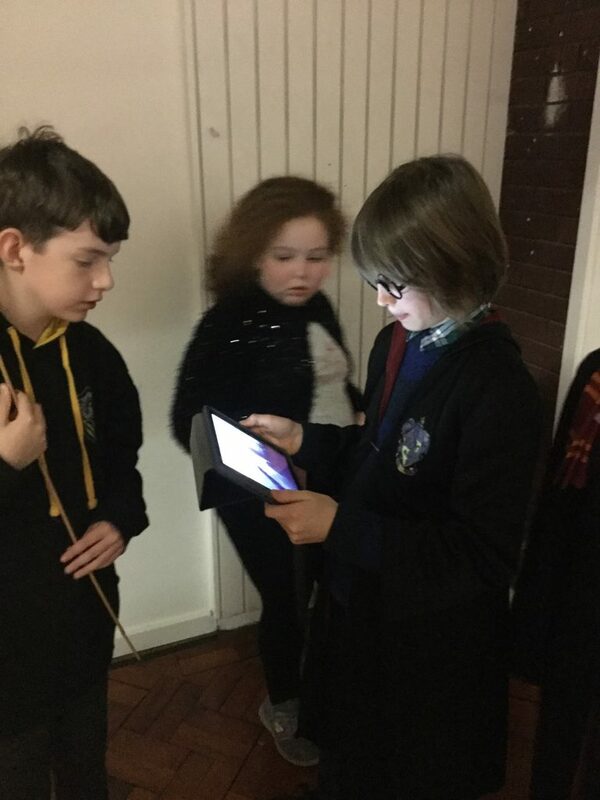 House points were awarded and at the end of the evening once assembled back in the Great Hall the winning House was named……. 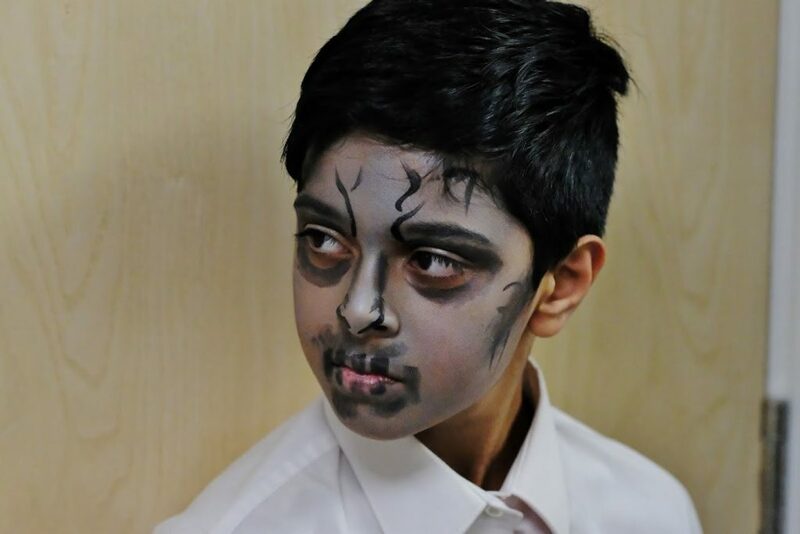 Thank you to all the children for attending this event and a special big thank you to all the staff that helped. 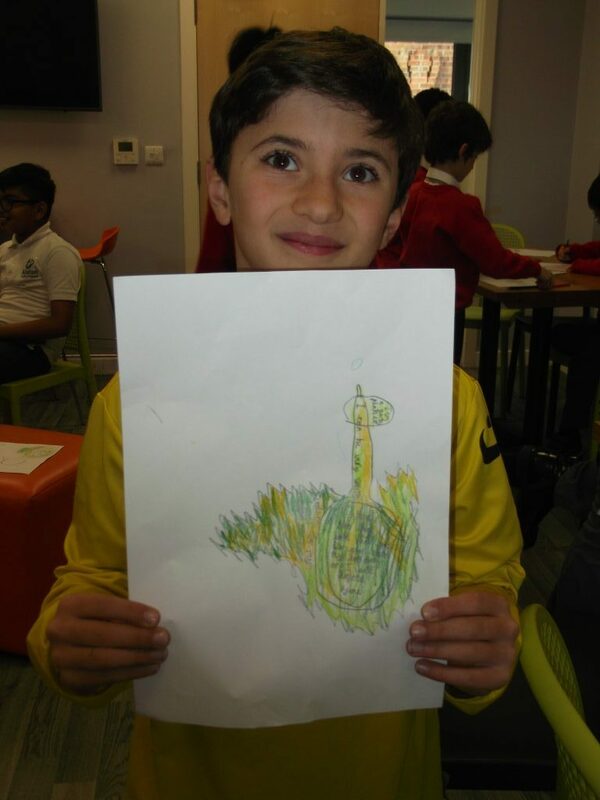 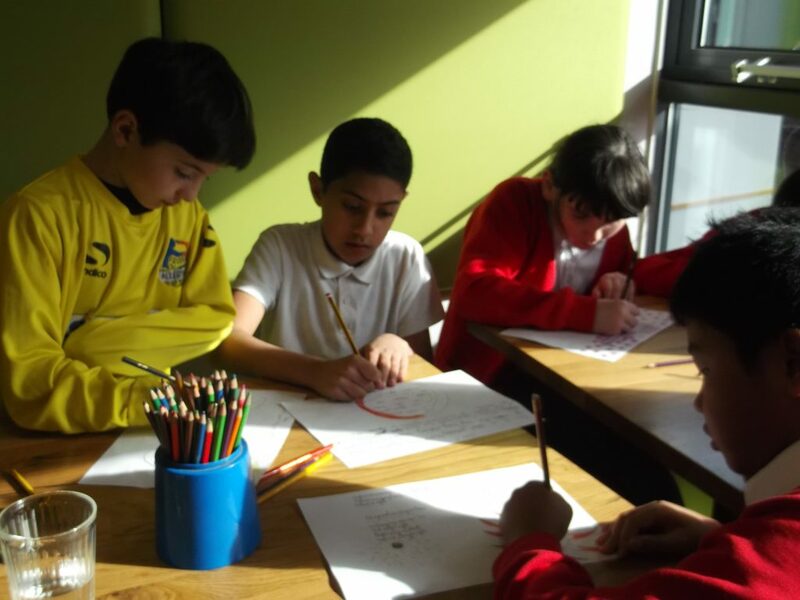 This week saw the club reading, writing reviews and more work done on the graphic novel. 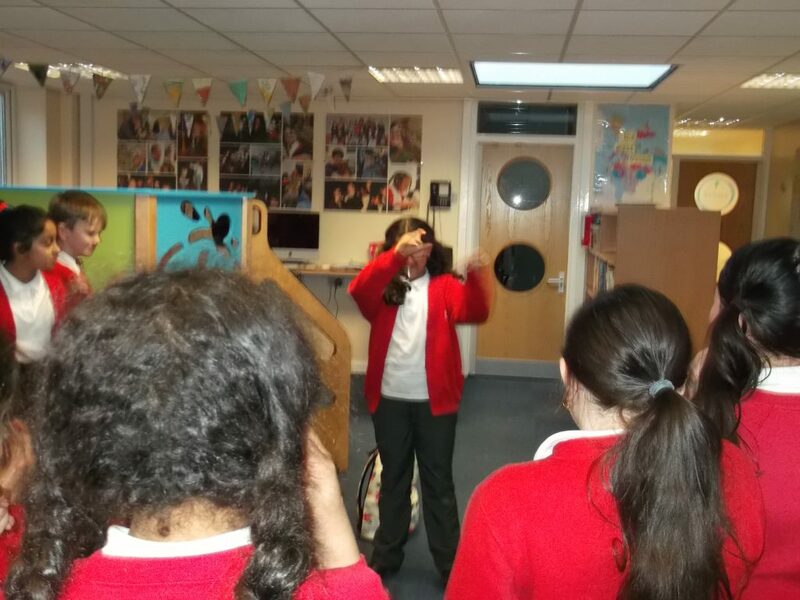 Much fun was had working in teams to complete the scavenger hunt and to finish off a round of book themed charades. 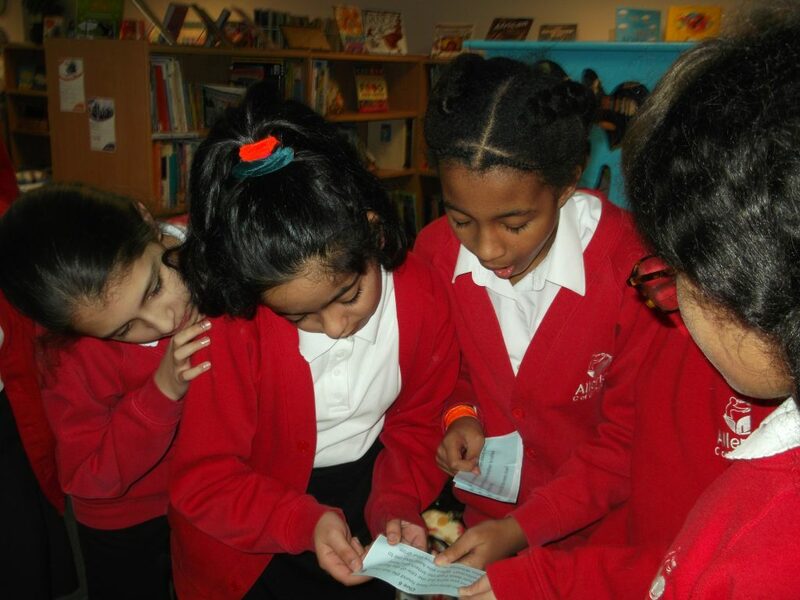 Where is the next Clue? 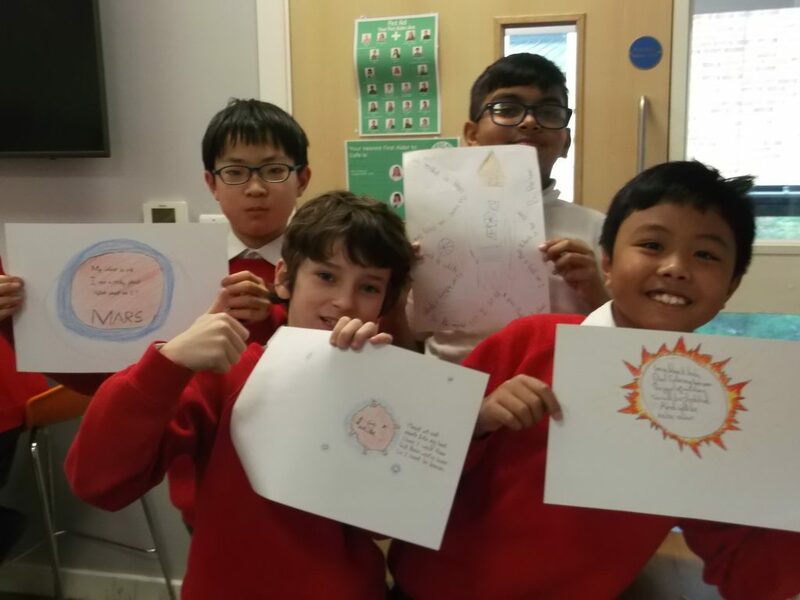 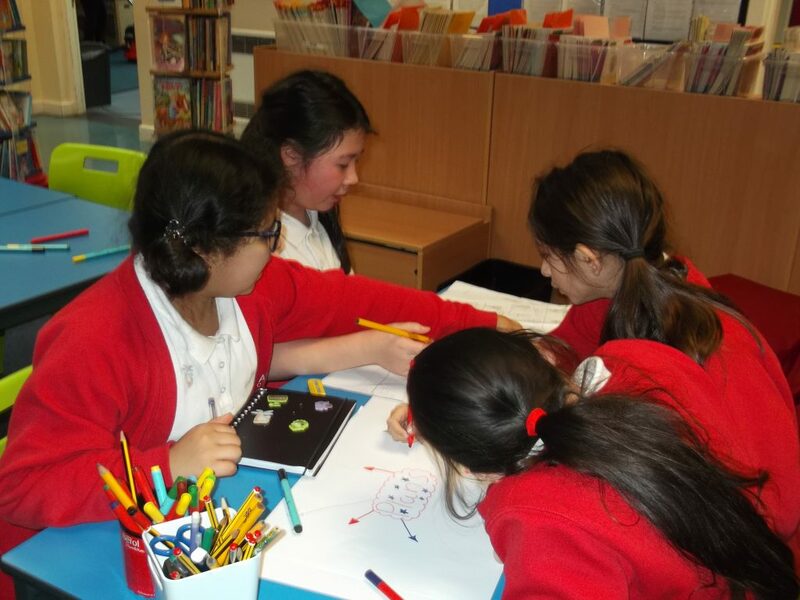 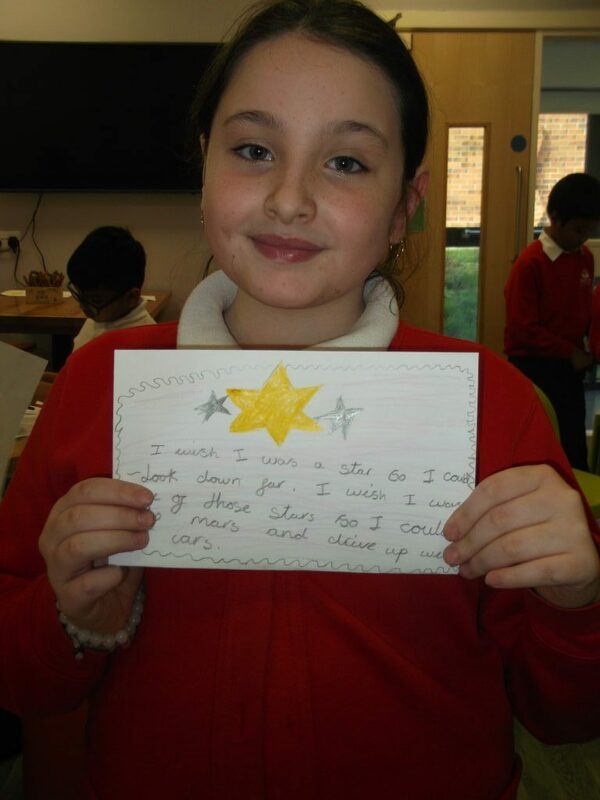 This week Book Club wrote reviews on the Leeds Book Awards website, read and worked on their Graphic Novel. 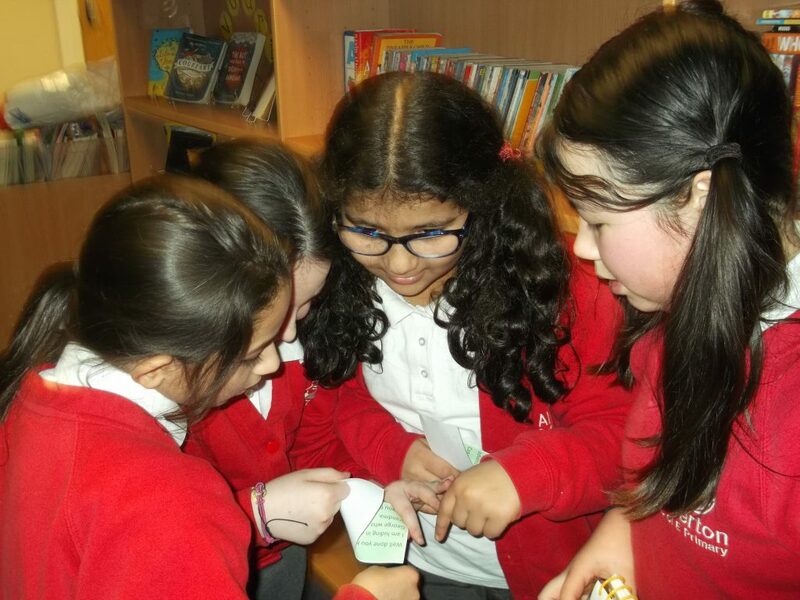 At the end of the session it was time to play Book Bingo. 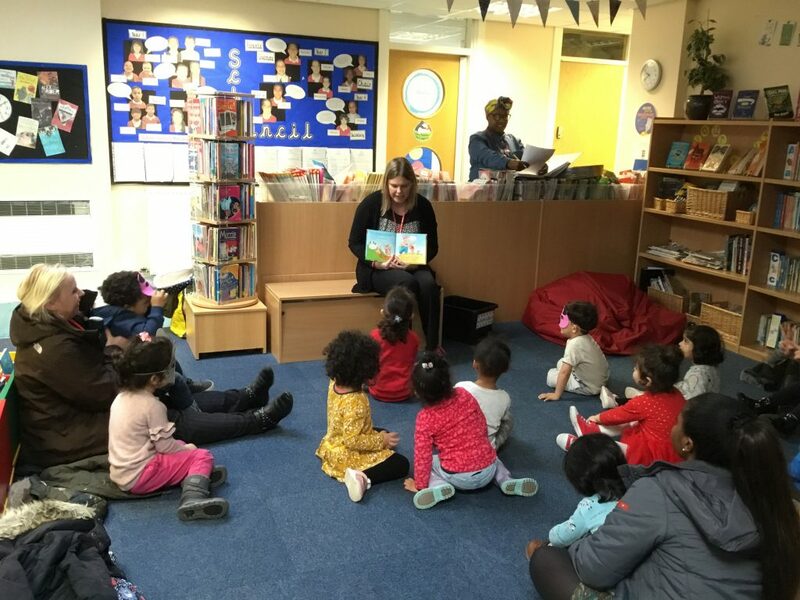 Which the children loved! 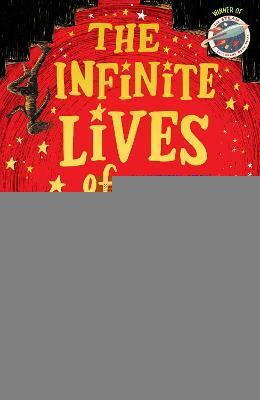 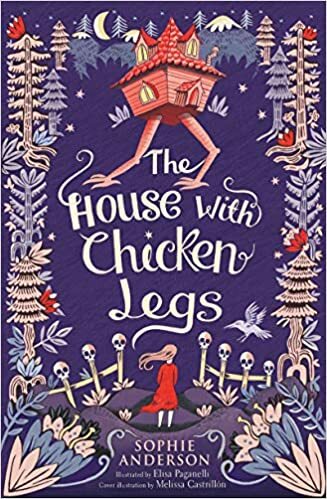 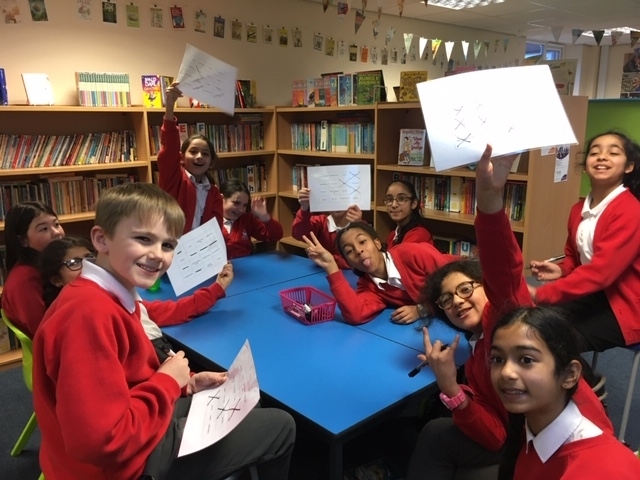 On Wednesdays after school Miss Whiteley is running a Book Club for children in Year 5 and Year 6. 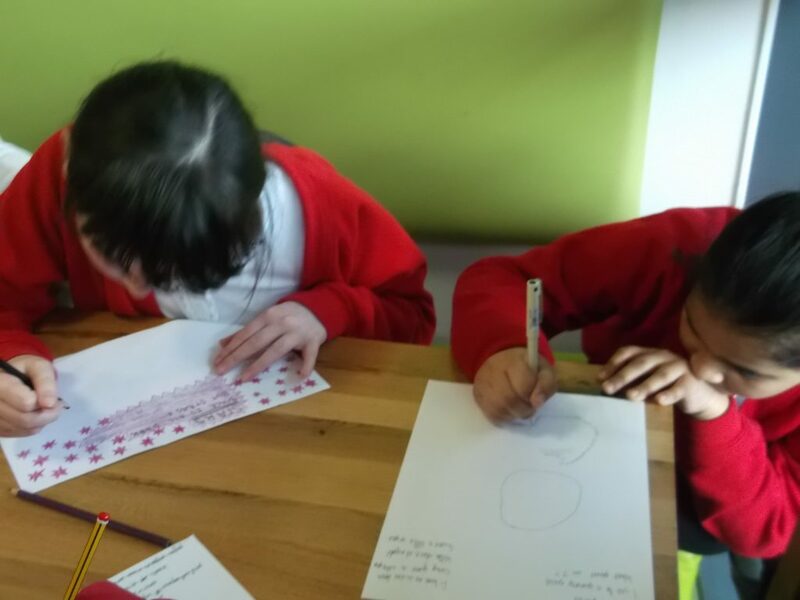 At our very first meeting the children decided who would like to participate in the Leeds Book Awards and who wanted to work on a project. 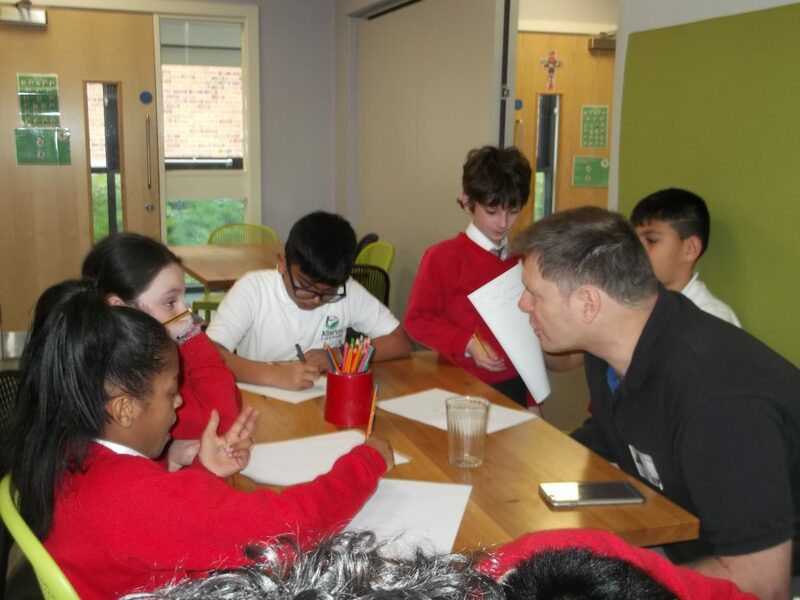 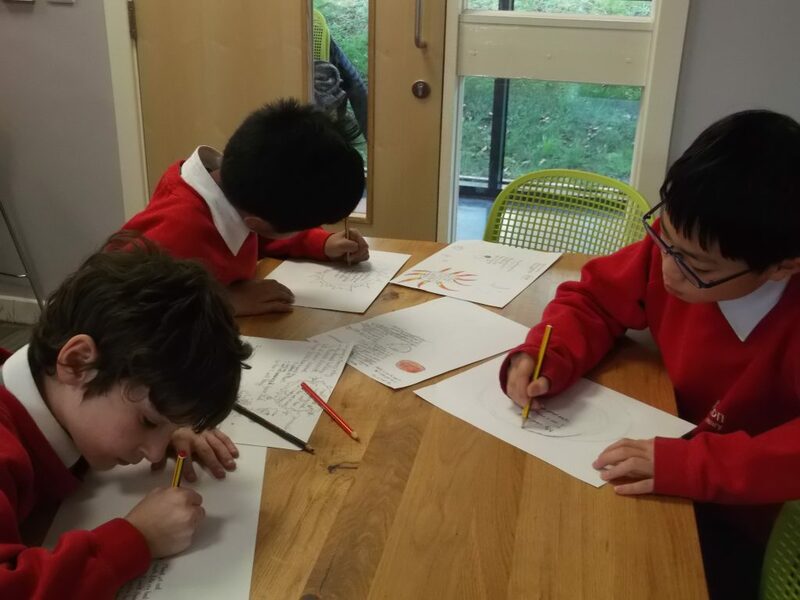 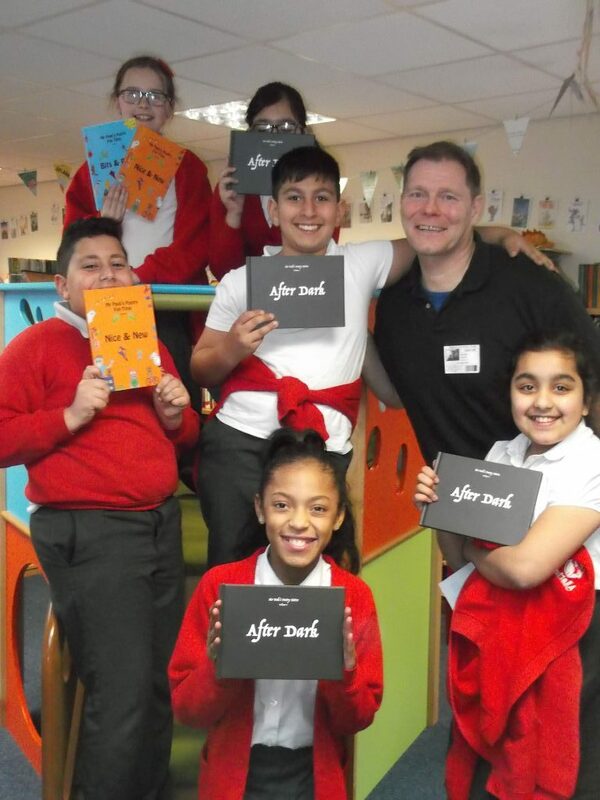 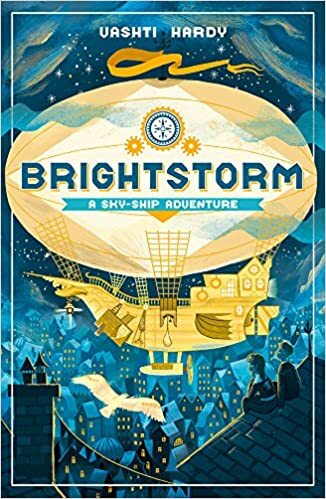 Seven children decided that they wanted to sign up for the Leeds Book Awards and chose the first book to read while the other four children decided that they would like to create their own graphic novel. 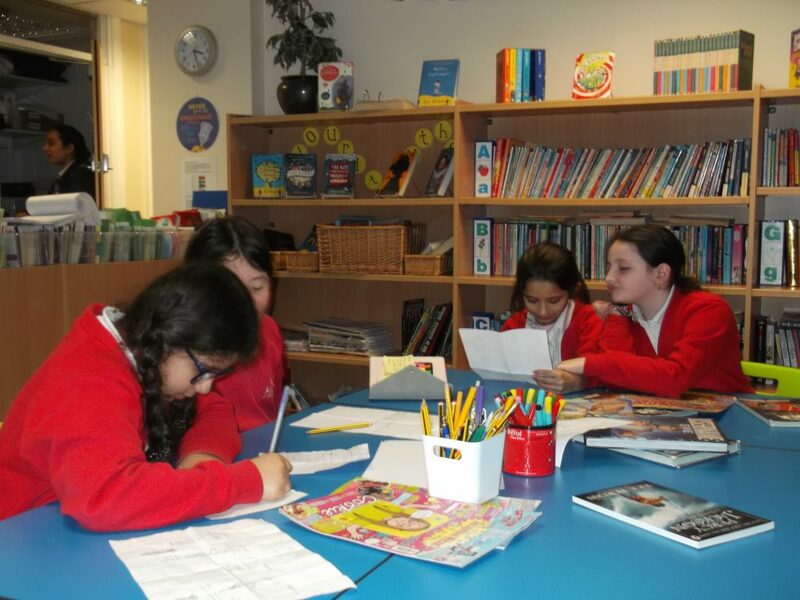 They looked through comics and graphic novels in the library for inspiration and then started to plan their own. 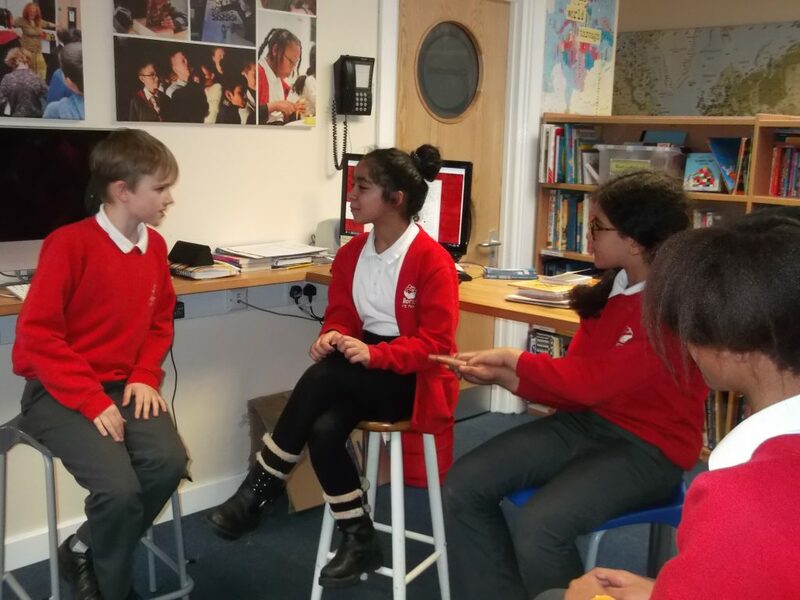 The second half of the meeting was spent playing a game of guess who’s book.